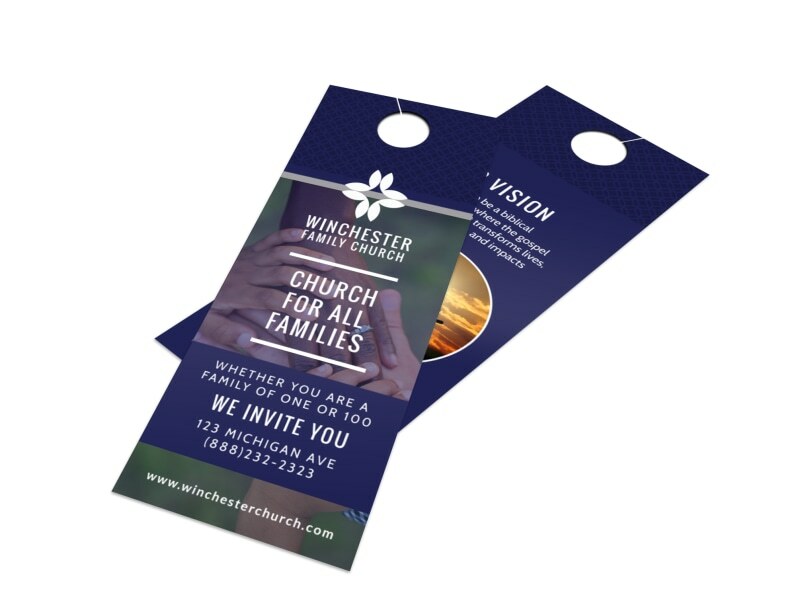 Customize our All Families Church Invitation Door Hanger Template and more! 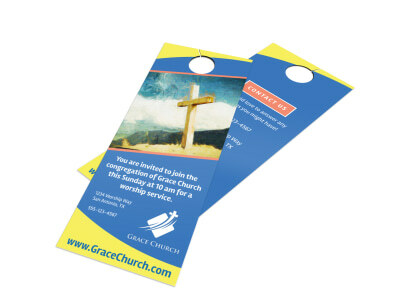 Invite families in your community to expand their faith at your church with this door hanger. Use it to relay your church’s mission statement, along with any inspirational quotes that relate directly to your congregation. Don’t forget to include your church’s location and dates and times of worship before sending your design off to our printers.